Exhibited in "Maker Faire Tokyo 2014"
“soratama 72” will be exhibited in “Maker Faire Tokyo 2014”. This is your chance to touch the “soratama 72” before it is on sale. Please try! 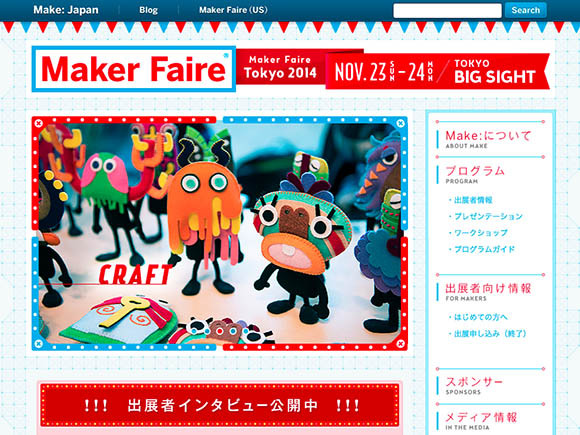 “Maker Faire Tokyo 2014” is an event held at Tokyo Big Sight for handmade goods. It is worth coming!